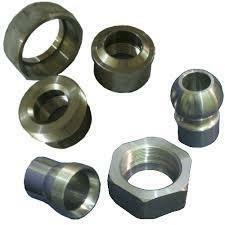 We hold expertise in offering repairing services for CNC Machines and Tools. Our experts have industry experience of many years and are instrumental in offering repairing services for PLC, Motors, Drives SCADA Motion Controls. Through our dedicated efforts, we have been able to offer reliable maintenance development services for variety of machine tools. The engineering solutions are appreciated for their timeliness and cost effectiveness. Since its inception in the Year 1990, S. Bee Engineering Works is a well-known manufacturer and supplier of various Brake Drum, Clutch Assembly, Gear Box Plate and many more. We are also service provider of VMC Machine Job Work and CNC Job Work. Our products feature durability and abrasion resistance. These products can avail from us at market leading prices.